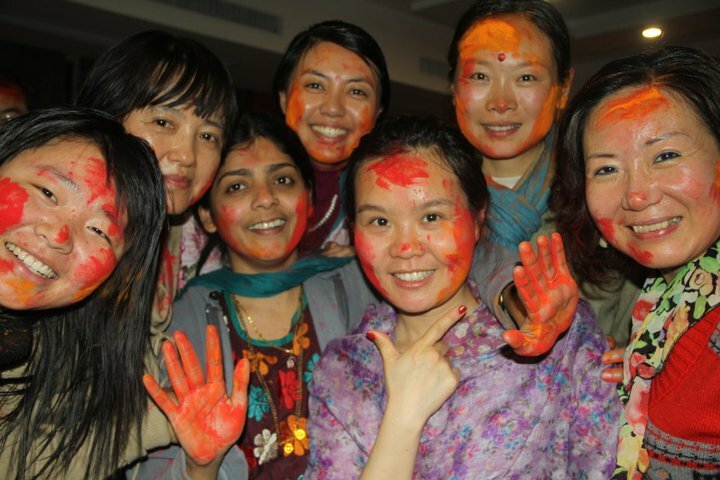 It was really fortunate to celebrate festival of colors HOLI with Chinese sahajayogis from small childrens to grandparents on the vibrated land of Shri Lao Tse and Shri Confucious. 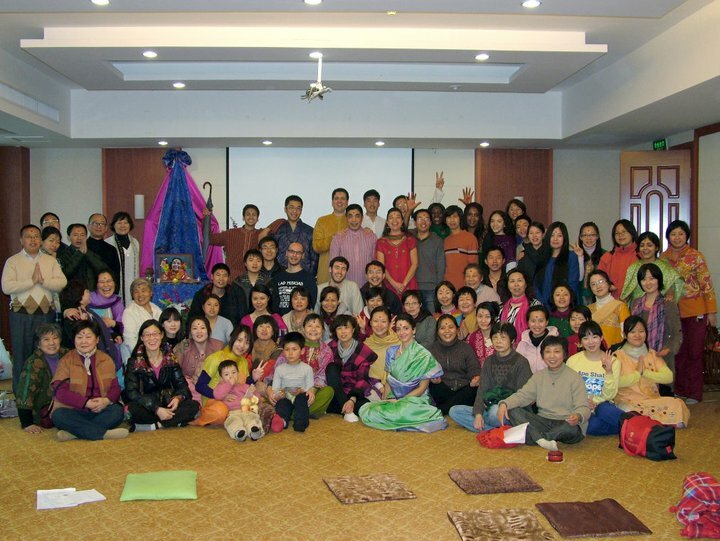 On the day of Holi Purnima in Sahaja seminar in Hangzhuo Chinese sahajayogis and some sahajayogis from other countries (Mexico,UK,Italy,India) played Holi together indicating the Union of all cultures in one Sahaja culture and it had been possible only due to One and Only Shri Mataji’s Divine blessings. About 70-80 brothers and sisters enjoyed this celebration.We firstly enjoyed nice fire festival (Havana) indicating destruction of all negativities in ascent (Holika Dahan) and then story time to know story behind Holi celebration about “Holika Dahan” and Devotee Prahlada & Lord Krishna’s playful act and reason behind he started Holi celebration i.e. to remove racialism, caste and creed and all conditionings from human minds and enjoy everything with open heart and collectively. All were very happy to know the so deep meaning of this celebration which Mother has told us. After enjoying nice coconut oil massage on chakras on head within 10 minutes we offered gulal to our Holy Mother and all get colored with gulal in red and orange. Everybody was very enthusiastic to color other and remove all differences and was looking very joyous.It was really nice to see every brother and sister enjoying coloring each other and feel in heart that this is the world that our Holy Mother want to see enjoying deep love in heart without any conditionings any hatrate just pure love. That is why Lord Krishna started Holi festival so that human beings can enjoy each others collectivity. Thank you MOTHER for such a nice collective love and joy.